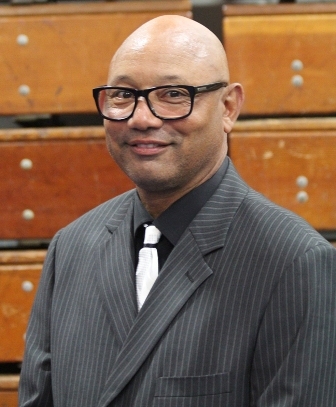 Serra High School basketball coach and dean of students Dwan Hurt passed away on Friday November 25. 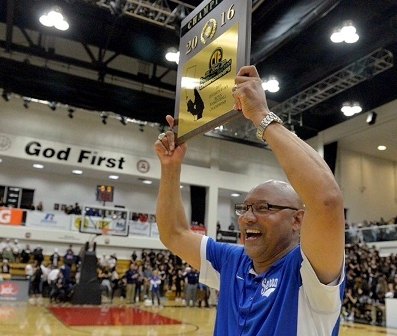 Hurt was going into his 28th year of coaching the varsity boys basketball team and 30th year coaching at Serra. Hurt was also an alum of Serra, graduating in 1981. Assistant varsity basketball coach Zac Bose was a teammate of Hurt’s for three years with Serra. Hurt was Sixth Man of the Year during his senior year, according to Bose. The Arkansas native then played basketball for Gonzaga and graduated with a degree in physical education with an emphasis in basketball. According to Serra’s website, being at the high school was his calling. Bose mentioned how Hurt was about putting God first and uplifting students and players. He was the longest-serving dean of students for the high school. Hurt instilled in students the importance of self-respect and defending the school. Girls basketball coach Mckinsey Hadley was a player for Hurt in the early 1990’s. Hurt invited Hadley back to be an assistant coach for the boys junior varsity team. Varsity basketball player Kobe Smith first met Hurt through his older sister, who also attended Serra. Smith promised Hurt that he would also attend Serra. The Serra community was not shy about singing Hurt’s praises throughout his career. The school honored him in 2012 at their Dedication to Excellence celebration. “Immediately, you can tell right away his passion for Serra High School and his love for the kids,” said Joshua Dabbs, the athletic director at Serra. The Cavaliers won the CIF Southern Section Championship last season, the school’s eighth section title on boys basketball. Hurt led the Cavaliers to every section title in the school’s history and to two state championship titles. Those who worked with him in the basketball team remarked on his devotion to mentoring the students, his firm and fair coaching style, and his ability to instill a competitive spirit in the team. Hurt ensured that every coach would individually encourage every player they chastised during practices. “Before we left that gym, he gave them a hug and we have to bring them back up,” Bose said “So by the time they left the gym they knew that he wasn’t just picking on them, he was doing it because he loved them. In 2014, Hurt earned his 500th win. Serra honored him with a trophy and reunited their 1993 CIF State Championship team to present the trophy.